Epic Giveaway Day 7: Win a Mad Catz M.O.J.O. The relentless 2014 Epic Giveaway continues! 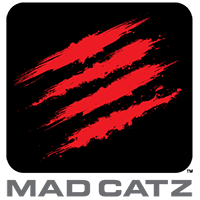 For day seven, our prize is a Mad Catz M.O.J.O. games console and media player. Outfitted with an ARM-based 1.8GHz Nvidia Tegra 4 processor and running the Google Android operating system, M.O.J.O is the little box of tricks that brings games and entertainment to your big-screen TV. The competition winner will be picked at random from all eligible entries that arrive by midnight of the closing date, December 16, 2014. The winners will be notified via email by December 23, 2014. The winner must claim their prize within 7 days of the promoter sending notification. If the prize is unclaimed after this time, HEXUS reserves the right to offer the unclaimed prize to a substitute winner selected in accordance with these rules. The prize is a Mad Catz M.O.J.O. Micro-Console for Android. Just the controller would be great. The console is a bonus. Some very nice prizes this year. Pray for Mojo! (Simpsons reference when Homer gets a monkey butler).